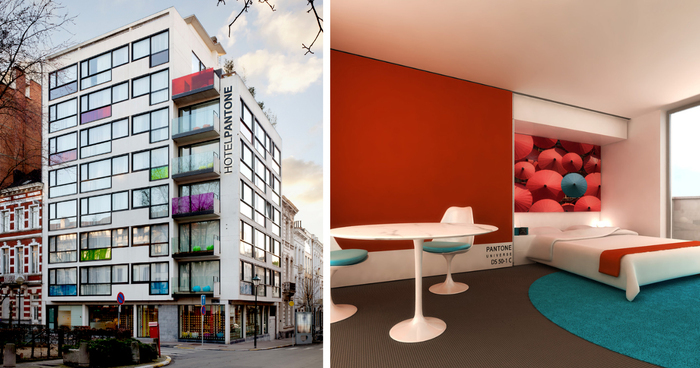 In Brussels, there’s actually the Pantone Hotel, which offers eyepopping colorful sleeps starting from just 179€ ($223) a night. 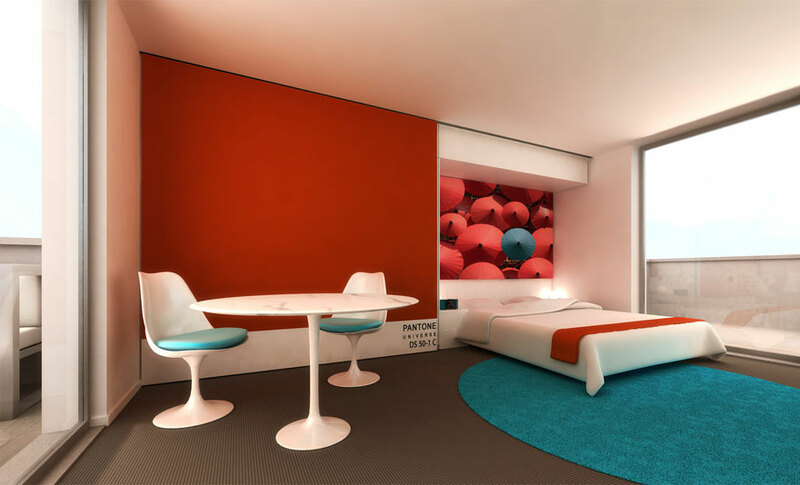 You can crash in a room with any one of seven color palettes offered by the hotel. Each color scheme swallows up one entire floor. 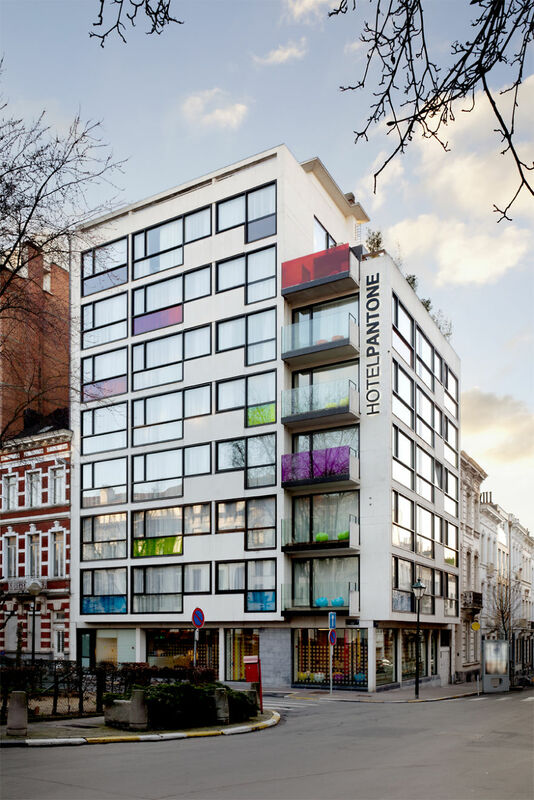 Opened in 2010 and designed by Michel Penneman and Olivier Hannaert, the boutique hotel is the architectural extension of the Pantone Universe line that includes modestly-sized lifestyle products like watches and storage boxes. 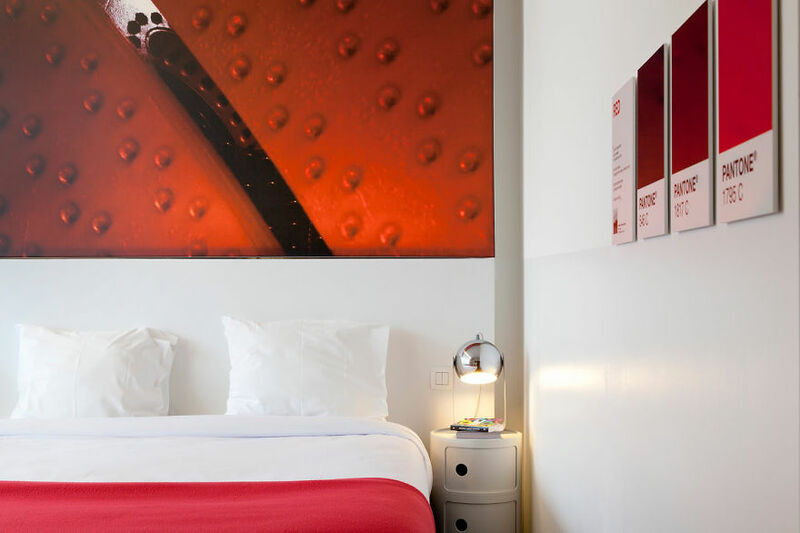 The colorful treatment comes down to even the smallest details, such as snaps by photographer Victor Levy that are suitably hued to match the room’s color scheme and Pantone coffee mugs. 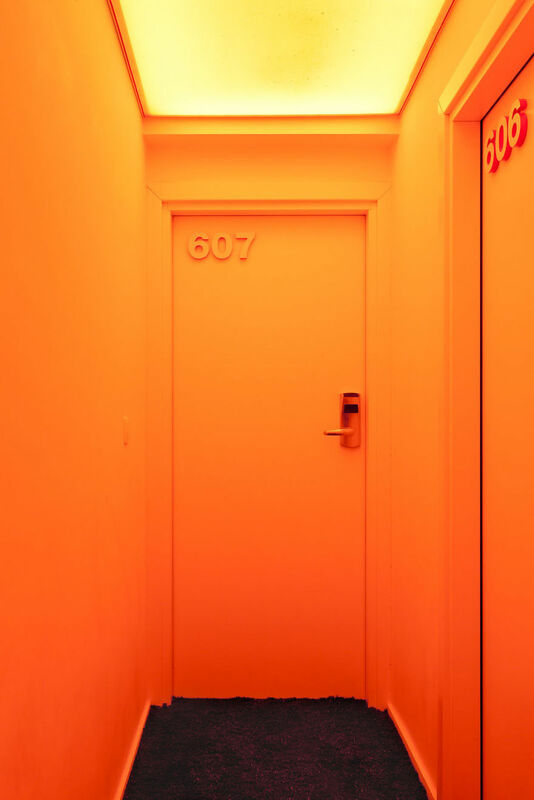 As one reviewer wryly noted on TripAdvisor, “it feels like you’re inside a 12-year-old’s pencil case” and “there’s nothing quite like wiping yourself with fluorescent orange 2 ply (toilet paper)“. Colored pajamas not included – so bring your own to unlock the room’s hide and seek feature. I would try this hotel in a heartbeat!